History: Athena is an owner release. She was an Arizona “city” girl that moved to a Texas farm. She has not adjusted to farm living and it is thought she will do better in a more structured environment. She knows how to use a dog door and has lived with small dogs. Athena is the pup of dam, Kiowa Aruba Nell and sire, Hallo West Acre. 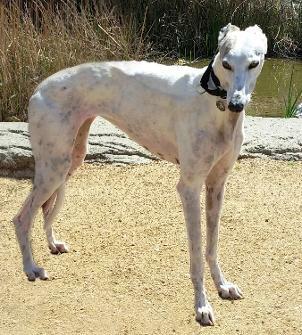 She raced 49 races in Tuscon and was adopted in 2011 in Prescott, Arizona. She is very affectionate and friendly. 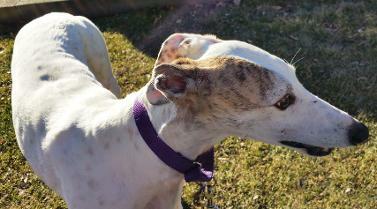 Athena has been a very loved girl, but she is now looking for a lifetime home as part of the TAGS family. 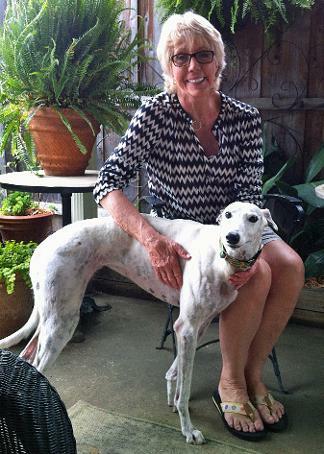 Athena, now April, with new mom, Joyce. Congrats!! 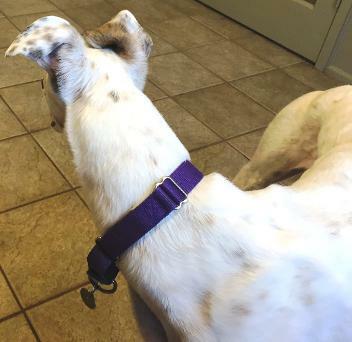 April 12, 2015 update: Athena found her loving lifetime home. Congrats to Athena, now April and her new mom! March 27, 2015 update: Athena came to TAGS as an owner release because life on a farm was not working out in her best interest. 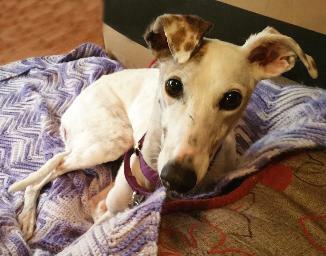 She is looking to find her loving lifetime home.